A boat needs something to make it move. Some have sails. Sails seem like they might require less effort than paddles and don't have the fuel or other complications of motors, so let's assume sailboats for this question. What are the things I should know (or do, or get, etc.) before clumsily rushing into sailing? Search for sailing certification courses near you. If you live in the US the most known certifications are those offered by US Sailing and the American Sailing Association. I recommend getting started with small boats (as opposed to keelboats), because you will learn quicker about the external forces (including your weight) acting on the boat. That's a matter of preference though. Both keelboats and small boats are a lot of fun. Besides official courses, I will say that most sailors are eager to share their knowledge, so try to find a sailing community near you or consider starting one once you have learned the skill elsewhere. Not the answer you're looking for? Browse other questions tagged boats sailing or ask your own question. Outrigger and/or leeboard when sailing a canoe? 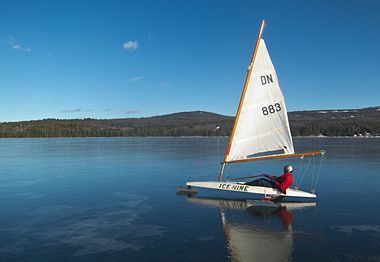 Does “Ice Sailing” Count as Boating?